In an act of shear desperation, the ruling National Party (NP) has started a criticism spree against Balochistan National Party (BNP). The recent onslaught of NP in form of newspaper statements against BNP is nothing but a desperate move by desperate group of people. Since taking power, NP has absolutely failed in good governance and they incorrectly believe that they can control their critics by issuing hard hitting statements in newspapers. 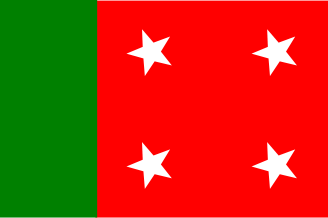 Dr. Malik Baloch of NP took power as chief executive of Balochistan in June 2013. At that time a lot of people had huge hopes from him and his party. One year in to office and he has done nothing but exhibited his incompetence. The list of failures of Dr. Malik led NP, PML-N and PKMAP coalition is too long. The forced closure of private schools in Panjgur, surge in acid throwing attacks on women, increase in the activities of sectarian outfits, unabated target killing of political workers, Arsalan Iftikhar fiasco, manipulation of local bodies and not to mention the bad governance are the hallmarks of the NP government. Dr. Malik’s inability to provide security to schools in vicinity of his hometown speaks volumes about his competence and success as a chief minister. NP boasts about its mandate that it has received in last general elections. The last general elections in Balochistan are at best controversial. The stories of how rigging took place are not uncommon and there is a general belief that elections were massively rigged. According to accounts of many residents of Panjgur, polling didn’t take place in the district. In some cases, even the presiding officers gave in writing that no votes were polled in their polling station. When the results came NP won both the seats from Panjgur allegedly due to patronage of certain powerful quarters. Dr. Malik’s own victory in Turbat is controversial and election tribunal has given a clean chit to Chief Minister without any investigation in to the allegations leveled by his opponent. People can say that losers always claim that elections were rigged but this argument doesn’t carry weight in case of Balochistan where rigging is undeniable truth. A thumb verification of all the votes polled in Balochistan will expose the reality and the mandate received by NP. NP should not shy away from such thumb verification proposals if they have received genuine votes. NP is facing genuine criticism from all quarters for their failures. Dr. Abdul Hayee Baloch, former president of NP and one if its founders, is also not behind in criticizing NP. According to Dr. Abdul Hayee, NP committed a blunder by joining government when they were in minority in Balochistan Assembly. According to former president of NP, that political blunder of NP has costing the people of Balochistan heavily. Dr. Hayee often lambasts NP and Dr. Malik for their failure. Furthermore, entire leadership of Pasni chapter of NP resigned from the party in protest against the treatment meted out by party leadership. When NP is receiving harsh criticism from within its rank and file then there is seriously something wrong with it. Rather than admitting the mistakes and taking actions to correct it NP tries to save the day by launching a barrage of unsubstantiated allegations against BNP. It must be noted that according to a recent survey conducted by Herald group, BNP is the most popular party in Balochistan. It’s an open secret that Dr. Malik is powerless and shots are called by the people sitting in Islamabad. It should not be forgotten that Dr. Malik was nominated Chief Minister by Nawaz Sharif and the cabinet of Balochistan took oath after a four months after Nawaz Sharif approved the names of ministers. Dr. Malik is being used as a façade by the federal government which makes the decisions about Balochistan. Dr. Malik is used to mislead people that a Baloch Nationalist is making decisions regarding Balochistan. Whether it’s the supply of electricity to Balochistan, slow progress of construction of national highways or approval of mega projects for Balochistan, Dr. Malik has failed to do any good to Balochistan. Rather than blaming others, NP and Dr. Malik should bring their own house in order and stop acting as a façade for federal government.